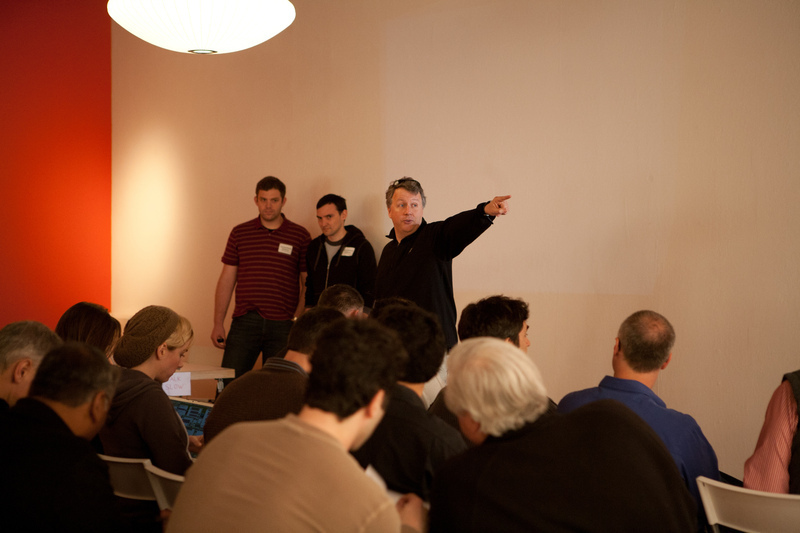 When we first founded Comprehend in early 2010, I didn’t consider applying to Y Combinator, even though I was very familiar with YC, Founders at Work, and Paul Graham’s essays. I thought YC only invested in social/local/mobile companies and wouldn’t be interested in, or be helpful to, a startup that sold to life sciences companies, where metrics like ‘viral coefficient’ and ‘daily uniques’ are meaningless and sales cycles can last months. However, we ended up applying anyway, at the encouragement of a friend, on the reasoning that we had nothing to lose. In retrospect, this was a great decision because YC has been amazing for learning about startups, fundraising, company building and more. Nowadays, I highly recommend YC to anybody starting a company, including enterprise, even those targeting non-traditional markets. If you’re starting a technology startup, they will be immensely helpful. There’s a lot of articles written about tactics for applying to YC, so I won’t address that here. Instead, I wanted to share the areas where YC has been the most helpful to us as an enterprise startup, both during the program and in the 3+ years since they invested. The #1 most helpful aspect of working with YC is that the partners are smart, objective, and direct. Combine this with their breadth of experience, and you have a completely unique and invaluable perspective. Where else can pre-seed companies find mentors who have seen hundreds of companies grow from just founders to being worth millions or even billions of dollars, but also have an interest in you and are willing to tell you what they really think? The YC partners are remarkably accessible, and their blunt advice is incredibly helpful and often right, or at least thought-provoking. Even 3+ years after finishing the program, I still go to them for extremely relevant advice on topics ranging from hiring, customers, partnerships, fundraising, marketing, and more. YC is amazing at introducing their companies to great, value-add investors. Having smart, knowledgeable investors is helpful for all startups, but particularly necessary for enterprise, where startups are fighting a constant battle for legitimacy and leverage with well-established companies. It’s a huge advantage to have strong investors in your corner who can help you avoid common pitfalls and vouch for you with customers. YC can’t make other angels and VCs invest in you, but they can get you the meetings. YC has helped connect us to many top-tier investors, including our eventual Series A lead, Sequoia Capital. In addition to helping their companies find the right investors, YC also helps them avoid the wrong ones. Not all angel investors are helpful, and some have a tendency to play games with entrepreneurs. These games can be demoralizing and time-consuming to the inexperienced founder. By remaining objective and bringing their depth of perspective, the YC partners (and alumni) help younger companies avoid getting caught up in these problems before they get out of hand. The alumni network has deep enterprise expertise in most industries, technologies, business models, and more. If you need an introduction to a specific company or person, or have questions about pretty much anything, there are alumni who are able and willing to help. We’ve received extensive advice on pricing, positioning, security, fundraising, and more. There are also regular alumni events on specific topics, moderated by YC partners with panelists from other YC companies. These events cover tons of topics, including enterprise-specific ones that are extremely informative and relevant. While the YC partners are always helpful, the thing that’s really notable is that they stand by their companies when needed most. When we were running out of money and decided to extend our seed round, they were supportive. When we returned money to an early customer because it wasn’t a good fit, they understood. They know that building a company is a slog, and when things appeared to be falling apart (which tends to be all the time for young startups), they have the insights and advice to get the companies through. I highly recommend YC to any company that has the opportunity to take investment from them, including enterprise startups tackling non-traditional industries. The reason is simple: When you’re looking to build a real company, you need to bring on investors who will help you grow and this is where YC excels. YC has been amazingly helpful for us, and I would highly recommend applying if you’re considering it.